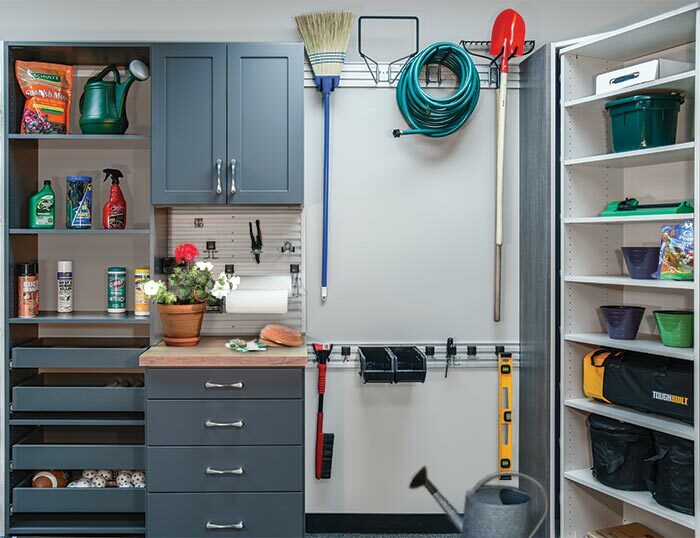 Even though the overall available space is small in this garage, the amount of provided storage is quite large through the judicious use of organizational components. 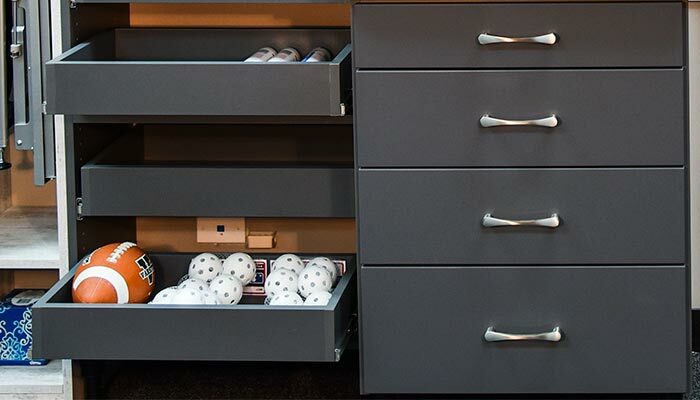 This design offers orderly storage for all the paraphanelia that accumulates when gardening is a favorite hobby, while still providing room for toys, balls, automotive parts and other items that call the garage home. Important gardening tools are kept conveniently ready to hand with the Omni Track® wall system, and the custom design even manages to incorporate a small potting bench that fuels this homeowners passion for plants. 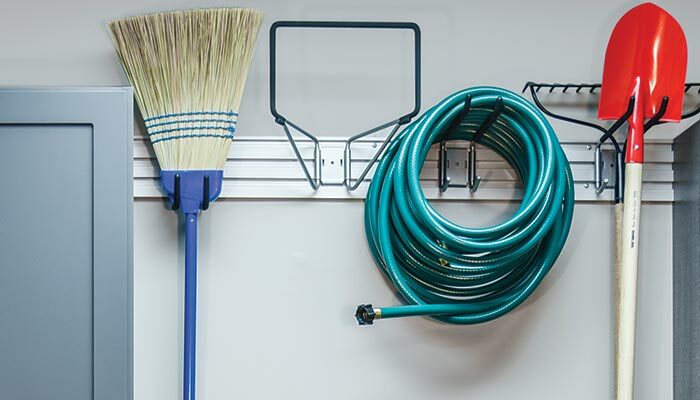 Pull-out shelves are kept low so that young children can access their balls and toys, while fertilizers, chemicals and sharp tools are stored on higher shelves or behind closed doors that are out of reach of little fingers.